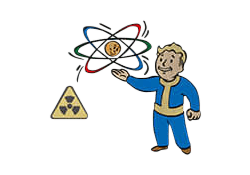 Nuclear Physicist is a Perk in Fallout 4. It is associated with the Intelligence Stat. Rank 1: You've learned to split the atom... and command it. Radiation Weapons do 50% more damage and Fusion Cores last an extra 25% longer.